Why did Tesco fail in the U.S.? 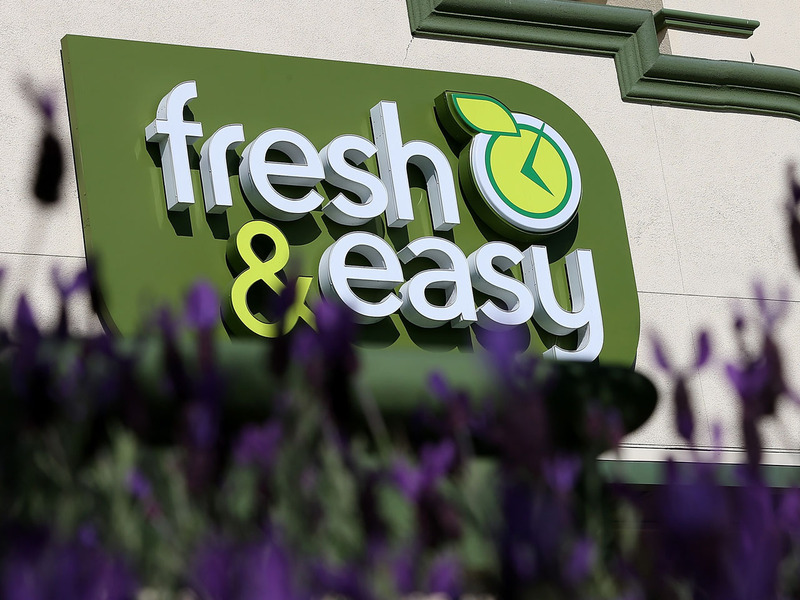 (MoneyWatch) Tesco's American experiment, Fresh & Easy, has failed and the company has been lucky to hand over more than 150 of its stores to billionaire Ron Burkle's Yucaipa Cos. The deal isn't as sweet as it sounds: Tesco (TSCDF) has to lend Burkle tens of millions of dollars to take the business off its hands, and additional costs include laying off several hundred permanent staff and shutting dozens of stores. So this is a big and costly failure. But Tesco has a terrific track record in other markets -- notably eastern Europe and China. So why did it come unstuck in the U.S. -- and why do British businesses predictably fail when taking on the American market? Tesco's timing was unfortunate; the new venture launched in 2007, just as consumer spending and taste for adventure went into sharp decline. The focus on ready meals required higher levels of spending than raw produce and it meant consumers had to be prepared to try something not radical but new: Taking home a supermarket meal in lieu of ordering a take out or cooking from scratch. This is a well established habit in Europe but less mainstream in the U.S.
You can't blame the research. Tesco lavished time and resources understanding how Americans live, shop and eat. And Burkle would hardly be willing to take the stores if he felt they were doomed. The ready meal focus has worked well for Whole Foods but what's less obvious is how far down the market it retains its appeal. It ought to work -- weekday shoppers lack time to shop and ready meals are cheaper than take out. So why didn't it? In the recession, many people had time, just no money. That reduces the market for ready meals. But more crucially, this kind of food requires a change of habit. It means you have to think differently about how you shop and what you shop for. Any marketer knows that changing habits is hard and expensive because the crucial factor is time. Time to get the message out. Time for it to sink in. Time for new habits to replace old ones. The ghost at Tesco's feast was Marks & Spencer, the British retailer which bought Brooks Brothers, watched it decline but hung in for 13 years, finally selling the clothier at less than a third of the price it paid for it. What that disaster taught Tesco was impatience: Don't wait for the market to change -- get out now. I'm not at all persuaded that Tesco has made the smart decision, just the easy one. Significant market growth always takes time and the best businesses don't lose their nerve easily. The real reason Tesco may be pulling out isn't because they did anything wrong in the U.S. but because their home market is proving very challenging. Assailed by competitors, they've visibly lost the plot, with poorly stocked stores, lavish but meaningless advertising and an absence of new ideas so obvious it hurts. Killing off a young venture is always easier than fixing the old one. But is it smart?